The Education Authority is required by law to provide transportation for students who live more than a stipulated distance from their school. For primary school students, the stipulated distance is two miles, and for post- primary school students, it's three miles by the shortest walking route. In some cases, the bus transportation is free to the students, and in other cases, the Education Authority provides families with some financial assistance that can go toward transportation costs. 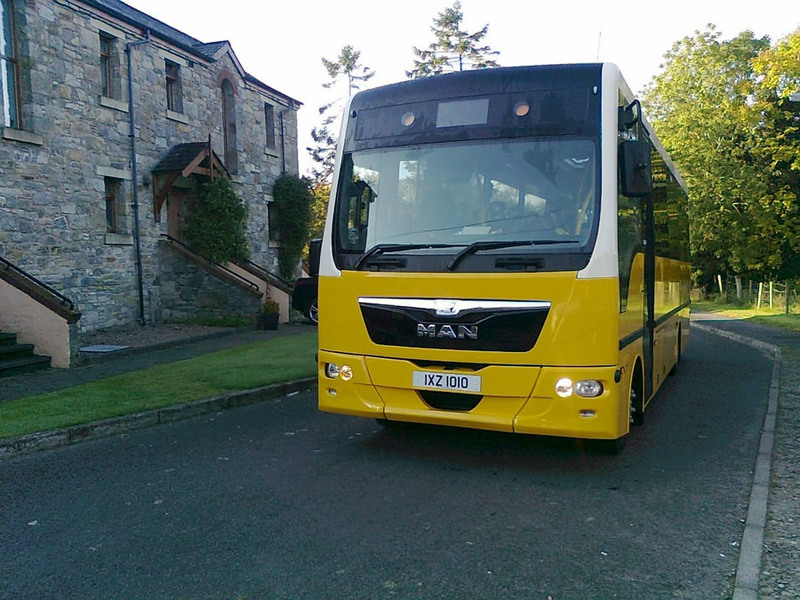 "The time had come to change this," says Dale Hanna, transport manager at the Education Authority, Southern Region. "We want to make it really easy for parents to find out if their children are eligible for free travel and then submit accurate information for the application process online." 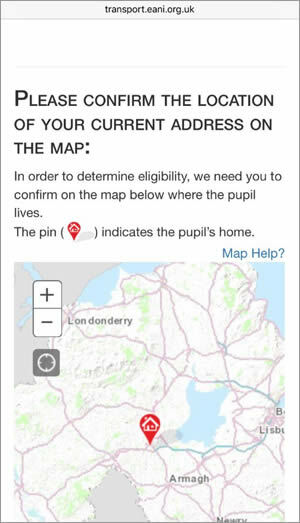 To make the process easier, the Education Authority approached Esri Ireland and asked it to use Esri's GIS technology to create a web-based app that would be mobile friendly and accessible 24/7. Developed using Esri's ArcGIS platform, including ArcGIS Online, the solution integrates live Ordnance Survey map services and address data from Land & Property Services (LPS). When parents tap or click the Submit button, the GIS-based app automatically calculates walking distances to their child's school. If the child is clearly eligible for bus transportation, parents receive an instant yes response, and their application is automatically forwarded to the Education Authority's transportation team. "It's beautifully simple yet a terrific demonstration of the power of digital geography," says Eamonn Doyle, chief technical officer at Esri Ireland. In a related initiative, the Education Authority used Esri's ArcGIS Online to develop a new interactive web map of bus routes. Consequently, now, when students are allocated a place on a bus, parents can look online to easily find their nearest bus stop and check departure and arrival times. Parents also now have the convenience of being able to apply for transportation online without having to fill out lengthy forms. "The feedback from parents has been very positive," says Colm Daly, information manager at the Education Authority, Southern Region. "This app moves our engagement with citizens to the next level and, in doing so, improves the quality of service to our customers." The new online app also helps to give parents a better understanding of the eligibility criteria for school transportation and instills greater confidence in the application process. In the past, the Education Authority only received a postal address for applicants in its paper forms. Now it receives emails with a precise map and the coordinates of students' homes. "This helps us to make better, faster decisions," Daly says, adding that, "the app may, over time, reduce costly appeals." "In our Dungannon pilot, 15 percent of the people who used our app instantly received a 'No' response," Hanna says. "We estimate that it takes 10 minutes to manually process [these], so in the pilot phase alone, we saved over one working day. Across the whole of Northern Ireland, there are around 2,500 [noes] every year. When the GIS web app is rolled out nationally, we expect to save over 58 days a year, which will free up staff to focus on delivering other important educational services." One unexpected benefit emerged. "Because parents can correct the locations of their homes on the online map, they are effectively doing quality control on the address data, and that's pretty interesting from a GIS perspective," says Daly. "It means that we can actually go back to LPS and other data providers in the future and supply them with updates. I don't think that anybody else in the United Kingdom or indeed in Europe is doing that right now."